Welcome To Professional Tool Center! 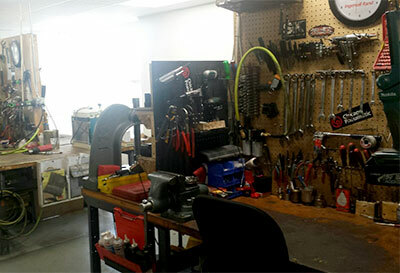 Professional Tool Center is a full service tool repair center handling both warranty & non-warranty repairs. We have been in business for over 35 years and are located in New Berlin, Wi just outside of Milwaukee. All of our work is guaranteed and carries a 90 day warranty. Most repairs are done in one week. Tools sent in for repair should include appropriate paperwork with complete name, address, and telephone number, plus a brief description of the problem or defect. Warranty repairs are subject to manufactures limitations and must have a copy of the receipt sent along with the tool. Warranty must be stated and receipt provided for repair work to begin. Tools sent for repair should include appropriate paperwork with complete name, address and telephone number, plus a brief description of the problem of defect. Requests for warranty service are subject to manufacturers limitations and should have adequate proof of purchase attached. Warranty must be stated for repair work to begin. Regular repairs carry a 90 day warranty. To begin your search select a manufacturer from the drop-down menu on the left. From there you can search by either tool category or part number. Once you locate your desired part, select the link to the right of the tool. We offer a wide selection of rebuilt tools. All of the rebuilt tools have a 90-day warranty. Our inventory changes weekly on rebuilt tools. If we do not have the rebuilt tool you are looking for, give us a call and we can build you one. All rebuilt tools look good and each part inside is inspected thoroughly. We also receive demo tools for sale, which almost look new. 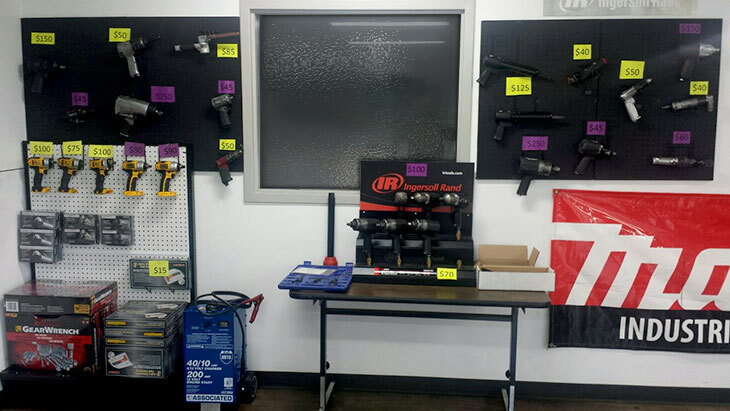 Rebuilt tools range from impact wrenches, spray gun equipment, sanders, grinders, battery chargers, and more, all at a considerable savings.